Game On | A Continuous Lean. Fall arrives and trout fishermen start thinking about leaving the intimacy of streams and heading toward open water. Out on the salt it’s the season of the striped bass migration and that’s a beautiful thing. But it’s also a good time to think about aiming for false albacore, the fiercely strong game fish, which is becoming more popular. 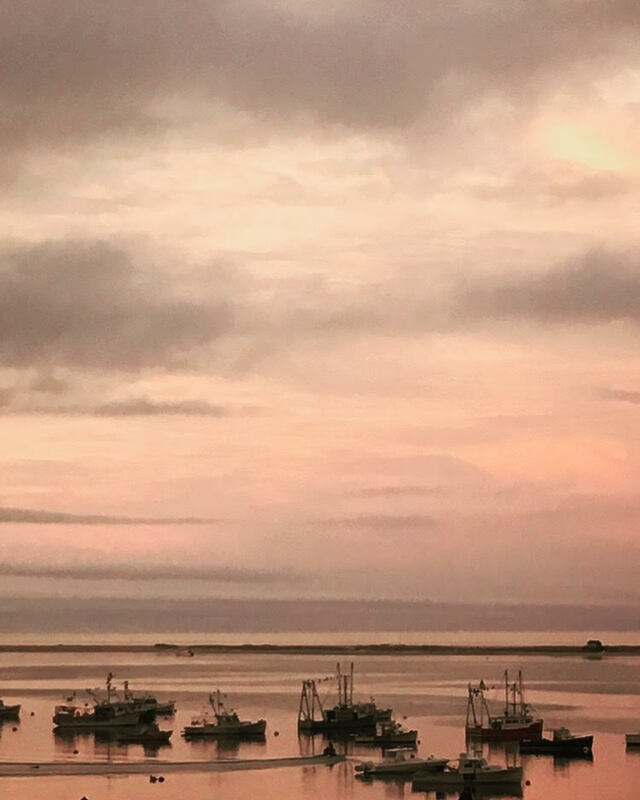 Spend a few days off Cape Cod and you’ll become a believer. False albacore, also known as Little Tunny, are related to tuna, and share the same brilliant silver color along very firm flanks. They’re often compared to torpedoes and it’s easy to see–and feel–why. This is not a fish that squiggles (if that’s the word). They’re straight and nearly rock hard, engineered for speed. Head to Saquatucket Harbor, a 10-minute drive from Chatham, and meet terrific captain Tony Biski. 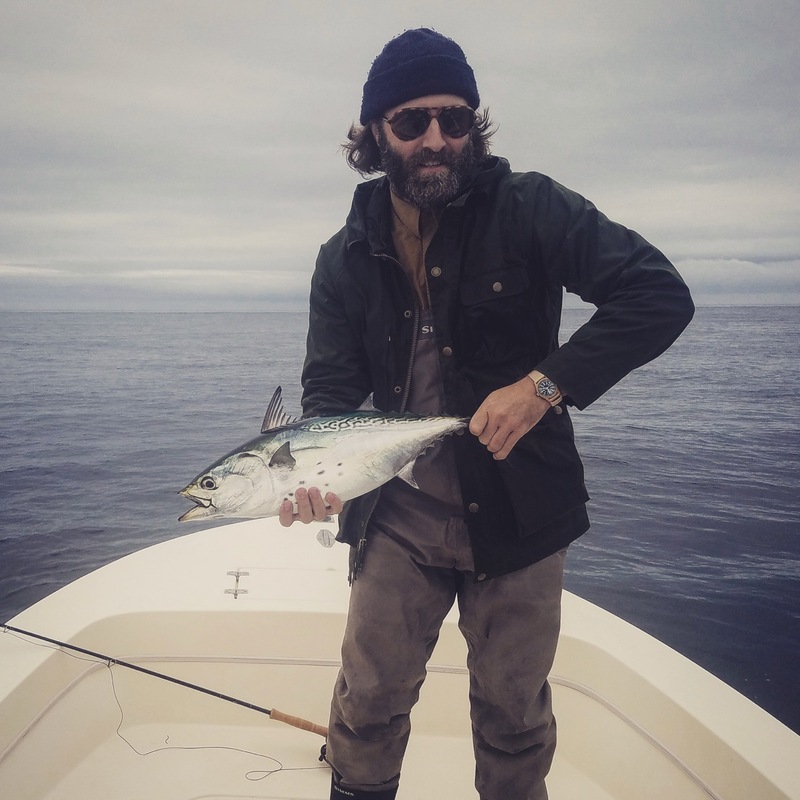 He, Tom Rosenbauer (author of numerous books, Orvis podcast host and general guru), and I headed out to the riptide where the false albacore feed. Tony knows this water intimately, having guided there for stripers for over thirty years. Now he’s being asked by more and more anglers to look for false albacore. That’s a challenge he embraces, since like all good captains Tony will get you onto fish. He may also have had a few Red Bulls by the time you meet in the morning. He said he was going to quit smoking but I doubt anybody believed that. He’s a great companion on the water, which, alongside expertise, is exactly what you want. In a perfect world the fish would be feeding on the surface, visibly breaking water. But fish do not always cooperate and when we were there the False Albacore were down lower, so we used a sinking line to meet them where they were. You don’t have to be a terrific caster to connect with these fish, so this is a good entry to the saltwater game for enlightened amateurs. A 10-weight rod is what’s called for here. Orvis has an amazing one-piece Helios 2 rod that’s perfect for this, (though Tony provides rods and reels if you don’t have saltwater gear). The author off Cape Cod with his first false albacore. We cast into the riptide and waited a few seconds to let a Clouser minnow go lower (a sink-tip line helps). Then start stripping and when a fish hits you’ll know it, because after a thundering strike they peel off line on sharp runs. It’s perfect fall sport. After a fight you send them back into the water and they swim disappear into the deep. Celebrate with dinner at The Impudent Oyster (reservations needed) and you know you’ve had a very good day. Out on Cape Cod stay at the Chathams Bar Inn which has separate villas with views along the water. But there are plenty of low-key places in town, and by the end of September the rates go down just as the fishing gets good. Fall is lovely and it’s worth a few extra days on Martha’s Vineyard, where you can stop at the wonderful Charlotte Inn, in Edgartown. There’s also an all-time store, Coop’s Bait & Tackle, which sells everything you need to go striper fishing. It hasn’t changed in decades and you hope it never does. Add Larsen’s Fish Market to the list. Set on Menemsha Beach, it serves raw seafood on paper plates without much fuss. But don’t let that fool you. This is where I may have had the best oyster of my life. Coop’s Bait & Tackle, Martha’s Vineyard. Tom Rosenbauer with a false albacore. Captain Tony Biski looks on. Sunset at Chatham Bar Inns.